Happy Monday friends! I hope everyone had a wonderful weekend! 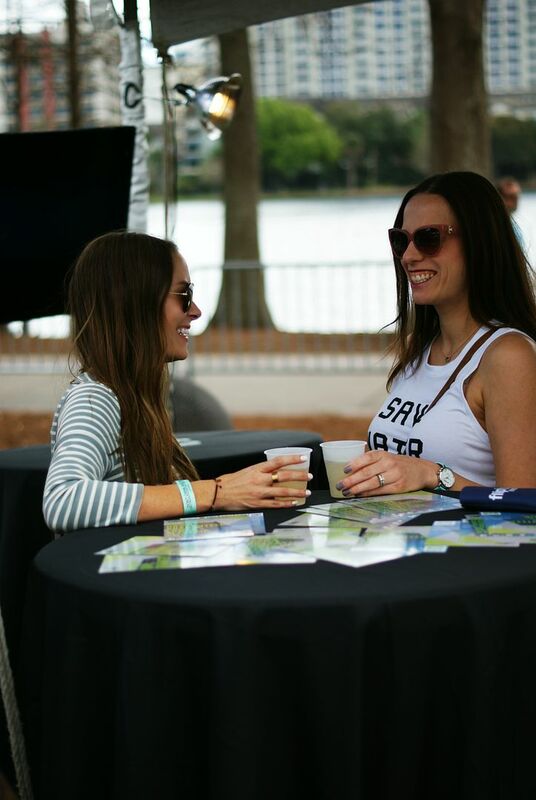 There are no shortages of food and wine festivals here in Florida, from South Beach Food & Wine in the winter to Epcot Food & Wine in the fall, you can find one in almost every city and season. That includes one in my own backyard (well, hypothetically speaking) so of course I had to go check it out, especially when the weather is as gorgeous as it was! 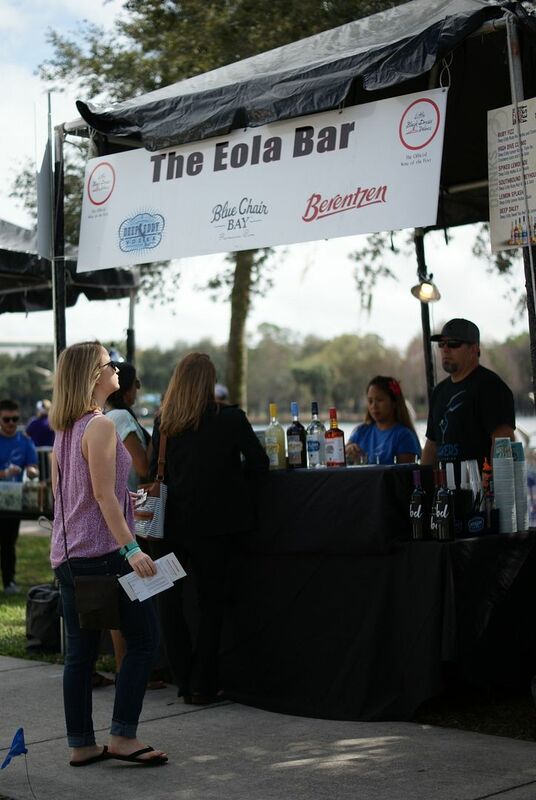 For the past 9 years, Lake Eola has been home to the Downtown Food & Wine Festival and despite it being so close to home, this is only the second time I've gone. This year Kate, the boys and I all headed downtown on a gorgeous 80 degree Saturday to experience all of what Downtown Food & Wine has to offer. With over 25 different restaurants and 50 different wines (also cocktails and beer) to sample there really is something for every one. With that being said, similar to other food and wine festivals, it can get expensive so you definitely want to plan what you want to try in advance. I recommend to either check out the menus online or do a lap around the event first before jumping into the commitment of getting something at the first place you see. What can I say, I take my food very seriously ;) Unfortunately the one thing I REALLY wanted to try, the restaurant ended up not showing up, but I managed to find an amazing hotdog that almost made up for the fried goat cheese I didn't get to enjoy. If you know Kate and I, of course we managed to find all of the bubbles at the event to sip on. One of the cool things about this event is instead of paying cash or using a credit card at each tent, you buy tickets and then pay using the tickets (most food items are 1-3 tickets and most drinks are 2-4 tickets) so you're able to set how much you want to spend and if you have willpower, you won't go over. Once our tickets were gone we headed over to the DJ area and danced to burn off some of the calories we consumed. Later in the evening there's a concert, our headliner was Gavin DeGraw but two years ago we saw Lifehouse. You can't beat ending a great day of food and wine with a free concert! what a fun time! i seriously love that dress! and it was perfect for the weather that day. i loved all of your snaps - looks like it was a blast!! 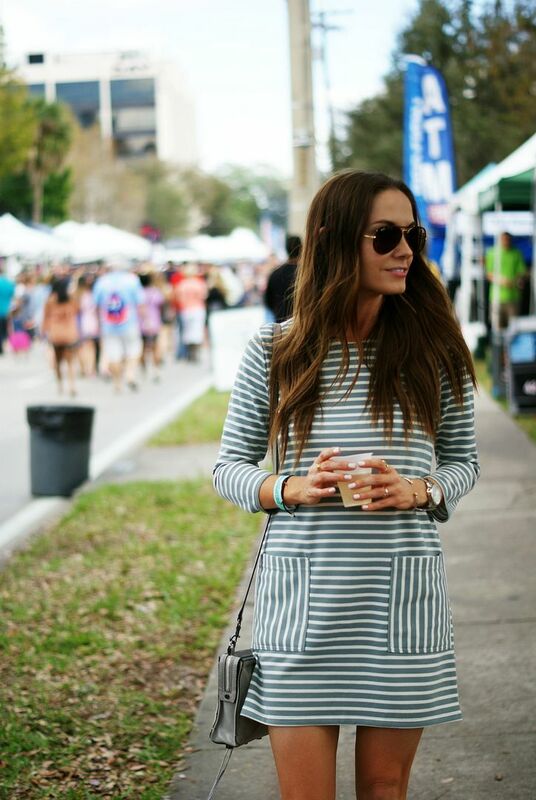 This is the perfect outfit for a F&W festival. It looks like such a great time!! This looks like such a fun festival- I'll have to head over and check it out next year! I love the dress you wore! I love food and drink events!!! You look too cute! That hot dog is to die for! Have a great week! You and Kate are seriously the cutest! Looks like SO much fun and the weather looks like it was perfect! Also obsessing over that dress! Love both of your outfits! That dress is perfect. This seems like such a cool festival, glad you had a good time! This looked like so much fun. Love your tip about checking the menu in advance so you're not totally overwhelmed with options when you get there. I never think to wear dresses to events like this (because sweat haha)! But you look so comfortable I might try it at the bacon fest I'm going to in a few weeks! Sounds like such a fun event! Love the dress you are wearing, it looks so comfy! What a fun festival- it's sounds and looks like such a great time! I love your dress with the converse - perfect!! This looks like the perfect weekend activity! I love the idea of tickets - I feel like we always just want to try everything and you can overspend so easily. 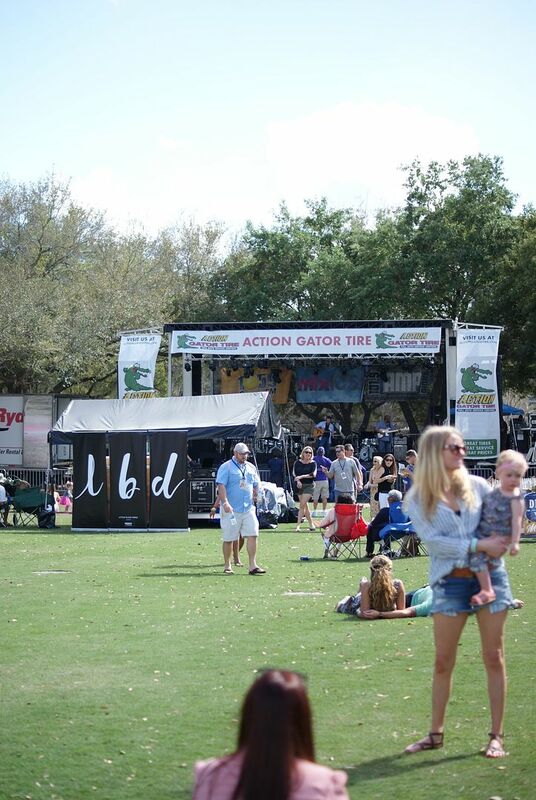 Looks like such a fun weekend at the food and wine festival and perfect weather! 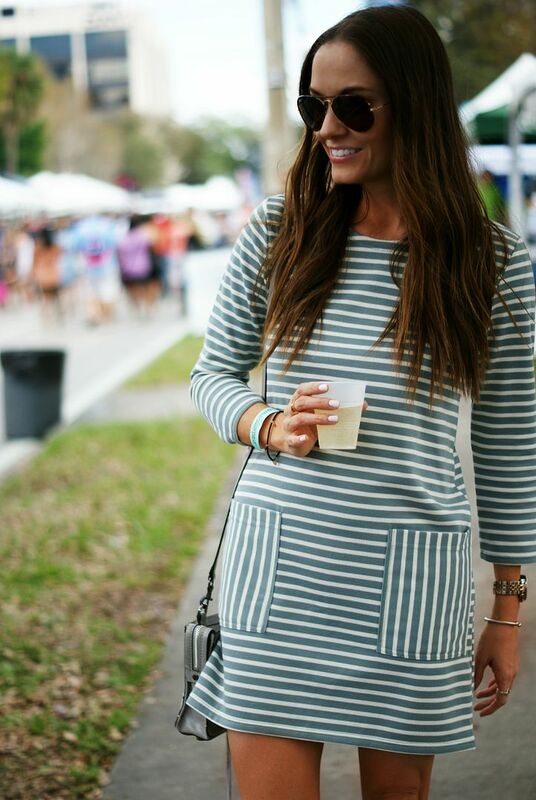 So obsessed with this striped dress. I love the front pockets! Happy Monday! Looks like so much fun!! And you look so cute. Love the dress! How cute is that dress?! Such a staple for spring! My kind of festival! How fun to spend time with Kate too. Obsessed with your stripes! What a fun weekend, Pamela! Anything with food and bubbly sounds like a blast! You and Kate look adorable! That sounds like such a fun event to attend, too! I live in Florida and have somehow never made it to any of the many food and wine festivals. I need to change that! I love your dress...it was perfect for a beautiful day outside. Sounds like such a fun event!! Gavin DeGraw to end the night to sounds like the perfect thing! All the bubbles too, how cute do you and Kate look?! what a fun adventure! looking super cute in stripes! 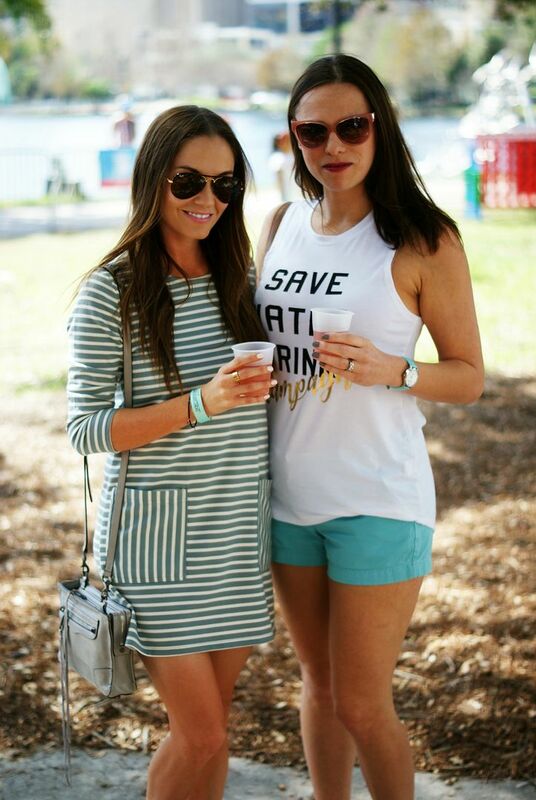 I was loving all of your snaps of the food & wine festival, and it seriously looked like y'all had a blast! I definitely would have been in heaven with all of that food and all of the drinks, but I bet that it would have been hard to say to no to everything! I'm glad that you and Kate had a great time! Looks so fun and cute outfit! This was the first year I didn't make it and I MISSED IT SO MUCH! You and Kate look gorgeous!! The weather turned out perfect for some outdoor fun. Nothing better than wine and food tastings. What a fun time! In Charleston they were setting up for that for this coming weekend, and then fashion week the week after. Always lots of fun things to eat and drink at those events! :) Plus I love your outfit! Looks like so much fun and I LOVE your dress!! I've always wanted to go to this!! Looks like a lot of fun. And I LOVEEEEE the dress. The perfect weekend activity and you look so cute doing it! You and Kate look awesome - I love your dress! 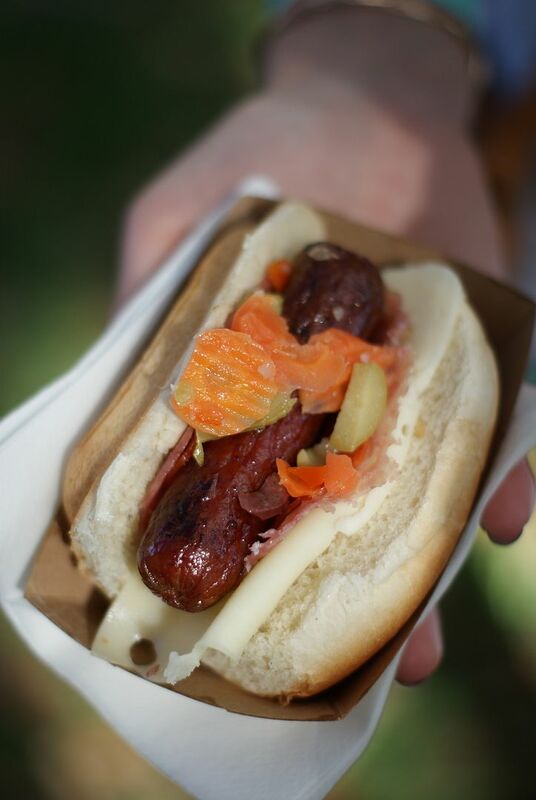 Our food and wine festival is this weekend, and I cannot wait! I love food festivals and trying new cuisines, looked like this one was amazing, hope you enjoyed your time! Your outfit looks great for the spring season, thanks for sharing! This looks and sounds so fun! I love your outfit too! Easy, casual and still totally chic! What fun! Love your dress. I can't wait for Chicago summers to kick in I love going to fests and your outfit is perfect for anyfest!! Looks like a fun festival! We just visited Orlando last month and the weather was gorgeous, so I'm totally envious over here. I've already told you on insta, but that dress is perfection!! Looks like so much fun!!! 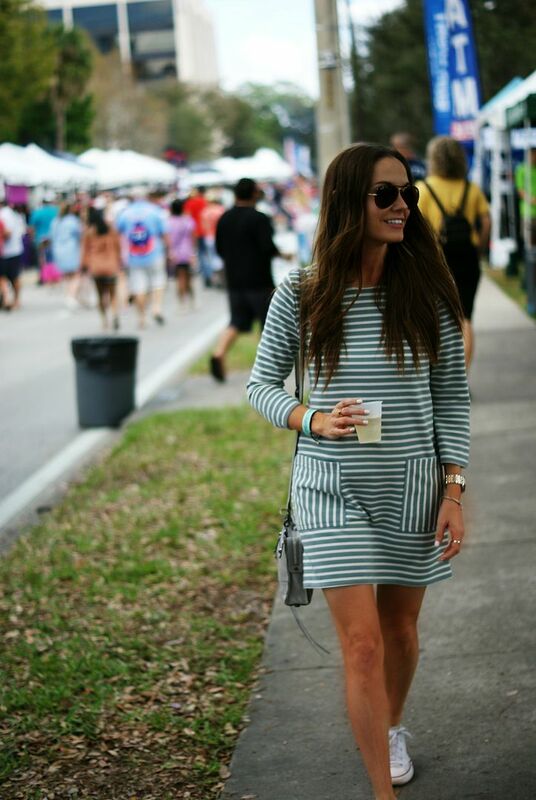 I love your striped dress here and how you styled it casually with those sneakers! So cute, babe! This sounds like such a fabulous and fun event! And that dress is simply adorable. Perfect for a day of walking, eating, drinking, and dancing! A downtown food and wine festival sounds amazing! This look is so perfect - casual spring perfection. I am loving that dress.